Today we’ll have a look at the Chinese photovoltaic manufacturer Jinko Solar who offer high-quality solar panels for residential, utility and commercial solar scale. They are highly recommended by many of the solar companies in Australia we work with, so we’ll investigate their history and review a couple of their most popular panels. Jinko Solar was founded in 2006 as a wafer manufacturer, had their IPO in 2010 and then vertically integrated the company by manufacturing cells and modules as well. By the end of last year, Jinko had over 15,000 employees and five production sites. They offer polycrystalline photovoltaic modules with one of the lowest production costs in the industry. Cost per watt was 39 cents in Q4 2015 and dropped to 37 cents per watt in 2016. No word yet on their stats for 2017. They also develop solar projects, mostly in China – and have connected over 1000MW to the grid via a subsidiary called JinkoPower which they sold a 55% equity interest in in late 2016. Due to their very competitive cost, high power output, reliability and a good warranty offering, Jinko panels are the choice of many solar installers in Australia. They have passed stringent testing for Australia’s arid and equally inclement weather – the whole range of has passed the 96-hour potential induced degradation (PID) resistance test as required by IEC62804 standards. JinkoSolar’s chief executive officer Kangping Chen said: “JinkoSolar’s PV solar modules are 100% in compliance with double 85 anti-PID standards and offer the related warranty, which marks a milestone in anti-PID technology development of the solar industry and demonstrates our leading position in the field. The 270W Eagle Series is the first double 85 certified PID-free module in the world. It’s a tier one panel with power classes from 255Wp up to 270Wp and has 60 cells per panel. The product is 1650mm x 992mm x 40mm including the frame and each panel weighs 19kg. They have a 10-year product warranty and a 25-year linear power warranty, which guarantees 80.75% output of the panel after 25 years of usage. The Eagle SE panels use SolarEdge DC optimisers and the Eagle MX panels have Maxim Integrated optimisers. If you would like to download the Jinko JKM270PP60 270W Eagle Series Datasheet click here. Eagle PERC 60 – 4 busbar solar cell with up to 18.33% efficiency due to Passivated Emitter Rear Contact (PERC) technology. 60 cell panel. 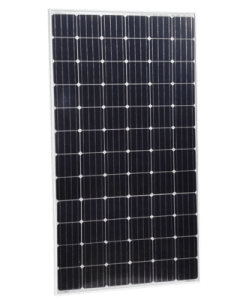 Eagle PERC 72 – 4 busbar solar cell with us to 18.57% efficiency (PERC). 72 cell panel. Jinko Eagle MX – built-in intelligent cell optimizer IC. Jinko Eagle SE – integrated optimizer mitigates power loss from panel-to-panel mismatch. Eagle Dual 60 & 72 – designed for high voltage systems of up to 1500 VDC, module efficiency up to 17.26%. Do you have any experience with these panels? We’d love to hear about it. Please let your review in the comments and let us know which panels you have and how they performed. If you’d like to buy Jinko solar panels in Australia please fill in the form to the right and we’ll be happy to put you in touch with one of our trusted suppliers / installers.